This 69 inch handshower hose combined with a handshower (sold separately) is a quick and easy way to update your shower. You can count on Delta reliability throughout the home, including our accessories and repair parts. We back each and every item with our lifetime limited warranty. This 70 inch handshower hose combined with a handshower (sold separately) is a quick and easy way to update your shower. You can count on Delta reliability throughout the home, including our accessories and repair parts. We back each and every item with our lifetime limited warranty. 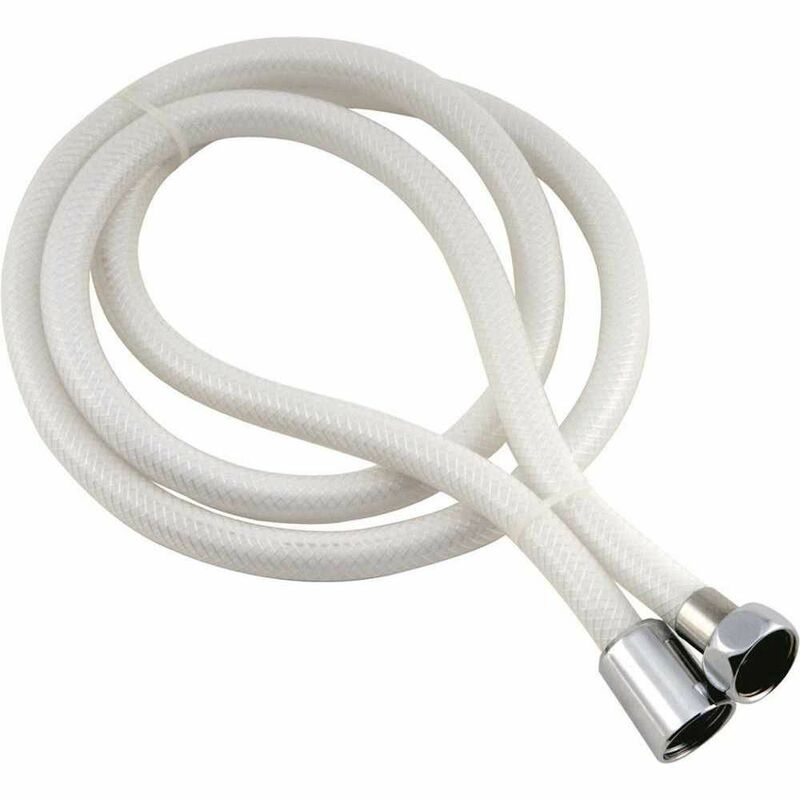 This 72" Flexible Hose - Non-vacuum Breaker Hose in White/Chrome, combined with a handshower (sold separately) is a quick and easy way to update your shower. You can count on Delta reliability throughout the home, including our accessories and repair parts. We back each and every item with our lifetime limited warranty. This 84 in. UltraFlex Handshower Hose in Chrome with White/Chrome Ribbon, combined with a handshower (sold separately) is a quick and easy way to update your shower. You can count on Delta reliability throughout the home, including our accessories and repair parts. We back each and every item with our lifetime limited warranty. Replacement Vinyl Spiral Hose 59 inch Heavy Duty. One Conical and One Hex All-Brass Nuts. White.